Adding icons to represent players’ playing styles has been on my list of things to do for roughly two years. It is time to finally do something about this. Loyal Poker Copilot customer and graphic designer Michael has offered to create icons of Rocks, Sharks, Donks, Bomb, Red Fish, Green Fish, Callling Station, etc, that can be displayed next to each player either in the HUD or in the Player Summary. I know some other products already do this so I don’t want to reinvent the wheel. What icons do you think we should include? And what criteria should be used for assigning the icons? I’ve love your feedback in the comments or in the discussion forum. I was going to write “Poker Copilot on the Rails” as my title, which would be more accurate and literal, but unfortunately has a negative colloquial meaning. I’m writing from Sofia, Bulgaria. In the last week I’ve been on two night trains. One took me from my home in Cologne, Germany to Vienna, Austria. The other was a 19 hour train journey from Budapest, Hungary to Sofia via Belgrade, Serbia. I’ve been doing Poker Copilot support and bug fixes from hotel rooms, cafes, train carriages, and the lounge room sofa in a cosy backpackers hostel. It has been a week-long experiment as to whether this would actually work. Due to the ubiquity of free wireless Internet connections and the computing power of the latest MacBook Pro it has worked. I’m heading toward Lebanon. 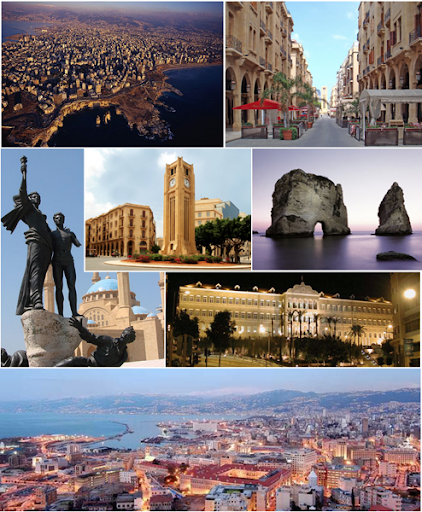 I hope to spend the northern hemisphere winter in Beirut, a city with mild winters. I detest cold weather. I’m taking the slow road (or train?) there. I’ve been preparing for this trip for some time. In the last couple of weeks before I started, I did most of my Poker Copilot support on the computer I intended to take with me, from various locations such as cafes and the apartment of friends to make sure I had all the correct software installed that I needed. Livin’ the dream! This is what is possible when you start a one-person software company and keep it a one-person company. Which was always my goal with Poker Copilot. Instead of obsessive plans of financial growth, keep it a company I can run alone. Heavy Poker Copilot users – multi-tablers and people with big databases – have been hitting performance and stability issues with the current Poker Copilot update. I think I’ve tracked down the worst of the problems. If this has affected you, you can download an unofficial update I’ve made available on the Poker Copilot translation page. To get the improvements you’ll need to download this update and reset your database. ﻿I’d be grateful for any feedback from people who try this out. And now a technical explanation: the main cause was the “Recently Seen Hands” addition to the HUD. The database query that obtains this information was not using the database index I wanted it to be using. So it was doing a “full table scan” – a dread phrase that puts terror in the hearts of database admins. There’s also some extra logging added to the console to help me troubleshoot some additional problems, particularly related to UB and AbsolutePoker HUD layout issues. I received no Poker Copilot crash reports at all since releasing the current update. I was pleased. Smug even. Until I received an email that said, “Poker Copilot crashed. I sent the error report.” But I didn’t get any error report… hmmm… this is suspicious. I check the server to which your computer sends Poker Copilot crash reports. Oh. The crash report handler is not running since I did something else briefly on that server. I start the crash report handler again. I get crash reports, which reveal problems caused by the latest update. I’m in the process of eliminating the problems one-by-one.